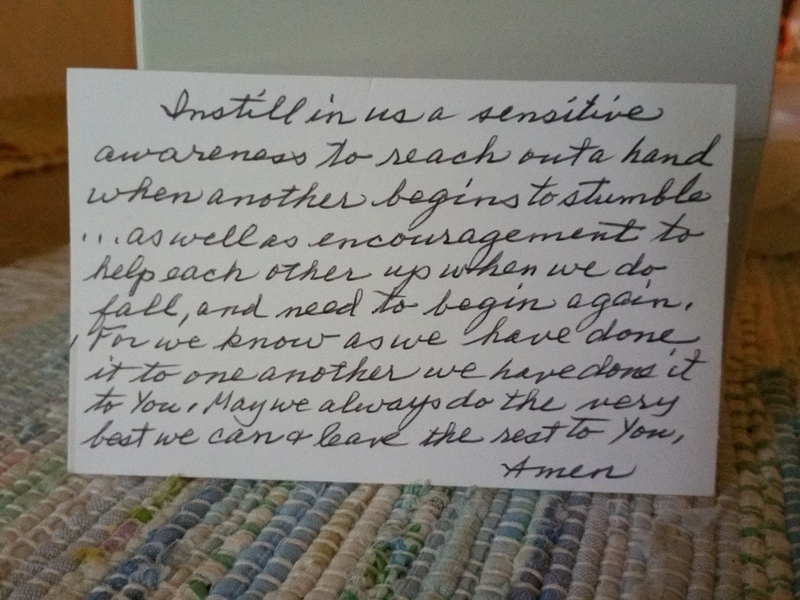 Mom’s prayer today, written on the scrap of a greeting card back. She recycled the fronts, given to her by friends, into her own special cards, each one with her acorn logo drawn on the back. When I propped this card up to snap the photo, it was dark and dim. So dim, I wondered if it would be flat and not discernable. Yet, surprisingly, after I shot it, I see there is more than my eye could discern. The dawn’s light is evident, regardless of what I think should be evident.